20 years in the business and a dream come true for 2 Bad Mice. We are excited to announce that we will be playing Glastonbury Festival for the first time this year! The date for your diary is Thursday 23rd June, we’ll be in the Glade Lounge. 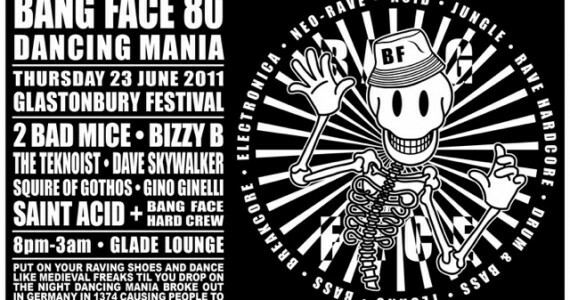 If anybody has a spare crash helmet please bring it along for Rhodesy as this is a Bangface event, nuff said. One Comment on "2BM Hit Glastonbury!" Are you playing an old school set at Glasto tomorrow? !